How Do You Define Too Much Debt? If you are someone who likes the finer things in life – a new home, beautiful wardrobe, luxury trips, new vehicle, or expensive adornments, then credit makes it easy for you to believe that these dream items are possible to obtain. However, if you use credit to purchase the aforementioned items, you also have to consider whether you will be able to swing the payments. Even if those payments can be currently managed, you still have to look at the future too. You can make the distinction between reasonable debt and too much debt by using the following gauges. The forecaster of debt is usually the bank, who adds up your monthly obligations as well as the utilities and the property taxes for your home. When the calculation is made, a lender does not like to see any more than 40% of one’s income being disbursed in this respect. The TDSR – Total Debt Servicing Ratio So, if you add all your card payments for the month (if they are not paid in full) and such other obligations as mortgage, car payment, utilities, and taxes, you cannot go above 40% of what you make. Otherwise, you are surpassing your TDSR, or total debt servicing ratio, and, in most cases, won’t be able to secure a loan – particularly a mortgage loan. The GDSR – Gross Debt Servicing Ratio Neither will you be considered for a loan or mortgage if your GDSR, or gross debt servicing ratio climbs above 32%. The GDSR figures your house costs with your income, and therefore includes your property taxes, heating and mortgage. So, banks refrain from making loans as well if the cost associated with owning a home surpasses 32% of your salary. Subprime Lending That being said, you can still find certain subprime lenders, such as finance companies, who will issue loans at higher interest rates to applicants whose TDSR is over 40%. However, it’s really not a good idea to take this route if you can manage to avoid it. Spartan Living If you are using 40% of the money you make to pay your debts, you already are living pretty frugally. 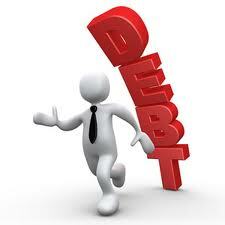 While most people do not like to live such spartan existences, it still is necessary if you want borrow higher amounts. The best way to make this happen is to borrow an amount that your budget will allow. Is your Maximum Debt Affordable? Therefore, putting together a household budget will help you determine the minimum you can borrow to lead a lifestyle that is acceptable. Is your maximum debt affordable? Once you make this determination, you can bypass any offer from a bank or credit card issuer that will lead to financial hardship in the future. By following this approach too, you don’t have to make undue sacrifices in order to stay within a budget. 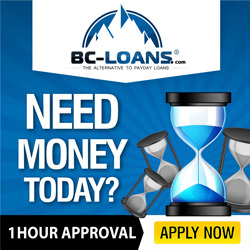 Make the Intelligent Choice – Develop a Budget While banks and issuers of credit will frequently offer you more sizable loans and greater credit limits for meeting their criteria for lending, you still have to remember that they really do not have any information about your budget. By creating a budget then, you can readily see what you are able to afford. So, make the intelligent choice and develop a budget if you have not done so yet. Achieve More Peace of Mind Outlining a budget will enable you to prevent any crisis financially as well as get the most from what you spend. You can also achieve more peace of mind when you can project your budget from both a long-term and short-term point of view. A Rudimentary System You can use one of a variety of systems to monitor your spending. The least costly, most obvious option, is to do so with a pen and notebook. No need to have a computer or pay out any software expense. Plus you have access to the notebook at any time. However, that being said, you can still misplace this kind of monetary record. Plus, it is easier to make errors when you are recording financial information manually. Also, this rudimentary record is not always the best way to track any spending that is long-term. Tracking Expenses Via a Spreadsheet An Excel spreadsheet is also another way to monitor what you save and spend. The computerized system, which allows you to monitor your income and expenses, is designed so you are less likely to err when you are recording data. In addition, you can see what you spend on certain items annually. For example, by making a spreadsheet calculation, you can estimate your grocery bill each month or for a year. Spreadsheets maintain running totals of the money you have available to spend in a specific month and make adjustments each time a new expense is entered. Financial Software’s You can also track expenses by using one of the popular financial softwares, such as Quicken. While software programs do cost money, they also offer you more options than what are available by using a spreadsheet alone. For example, the programs can track your investment and bank accounts for you as well. However, your information can also be compromised if someone hacks into your computer or the device is ever taken. Online Software Programs Online software programs are available as well that are free. If you use these platforms for keeping a running balance of savings and expenses, then they are indeed a helpful tool to utilize for home budgeting purposes. Recording Your Purchases Once you choose a budgeting system that is right for you, you can start recording your expenses. While it may be easy to remember what you spend on a house payment or rent, you need more assistance for the items that you buy in a brick-and-mortar locations or online. Easy Ways to Keep Track of Spending To make record keeping easier, put your purchases on one or two credit or debt cards. Or, take out a specific cash amount for categorized purchases. Make it a habit to update your budget each day and record accurate descriptions of your purchases. Review your budget monthly rather than from paycheck to paycheck. Variable and Fixed Expenses Plan your spending in terms of variable and fixed expenses. For example, fixed expenses might include health insurance or rent while variable expenses represent such items as gas or utilities. Grocery costs may fit under either classification. You also want to budget for expenses that occur occasionally, such as car insurance. Plan around the Minimum Income Amount Budgeting can become a bit more of a challenge if your income is somewhat irregular. Therefore, financial planning can entail working with an income that is hourly, seasonal or commission-based. If your salary is irregular, then planning around the minimum amount will aid you in determining how much to spend and save.